Following hot on the heels of the reveal of the new GLC Class in Geneva, Mercedes just dropped its latest Coupe version, offering a sleeker roofline for the compact luxury SUV. 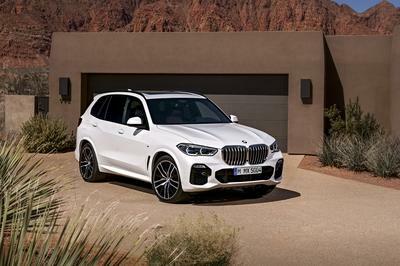 Up front is the traditional diamond radiator grille, offered in either silver or black, while further chrome trim adorns the rest of the exterior. LED headlights and LED taillights help to illuminate the front and rear respectively. Inside is a new multifunction steering wheel, while a 12.3-inch digital gauge cluster and 10.25-inch infotainment touchscreen are on deck. MB-Tex and leather can be found for the upholstery options. Tech features are offered through the latest MBUX infotainment system, which comes with standouts like onboard navigation, augmented reality features, and intelligent voice command. There’s also a bevy of assists, such as Active Steering, Active Distance Assist, and Active Brake Assist. 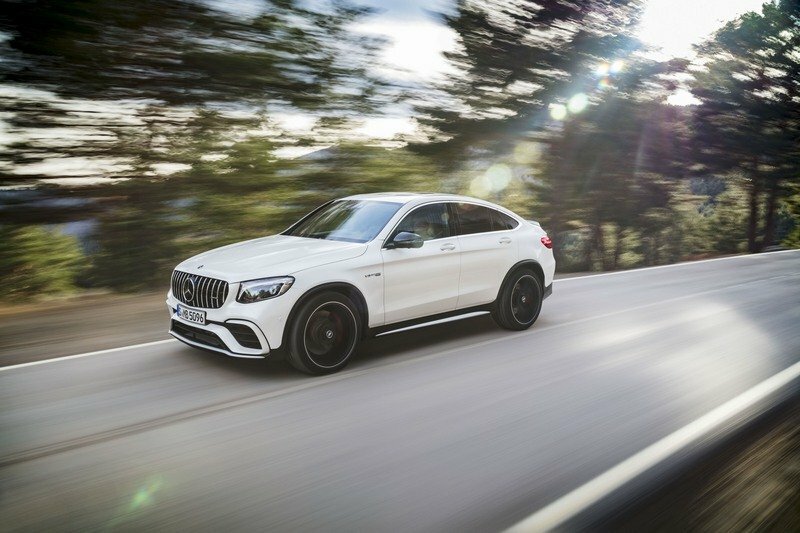 As for the oily bits, the GLC Coupe is offered with a new 2.0-liter four-cylinder producing 255 horsepower and 273 pound-feet of torque, 14 horsepower more than the current model. The sprint to 60 mph should take about 6 seconds. 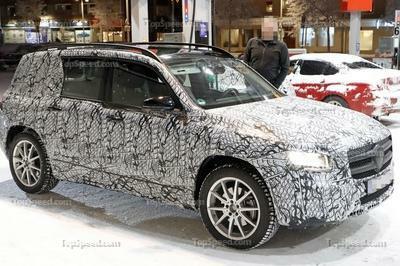 A high-powered AMG model is likely in the works as well. Look for the 2020 Mercedes-Benz GLC Coupe at the 2019 New York Auto Show in April, with an on-sale days sometime later this year. Pricing is so far unannounced, but expect it to slot in close to that of the current model’s MSRP of $47,300. You Won’t Believe How Fast This Tuned Mercedes GLC 63 is! 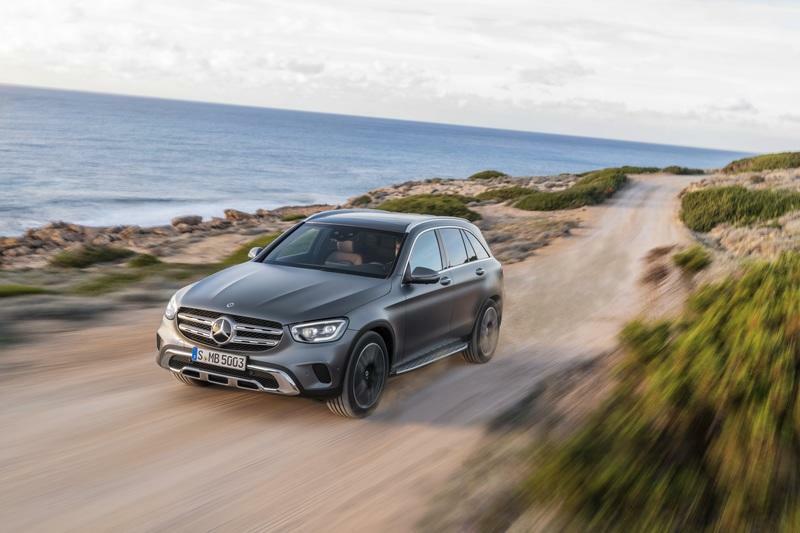 Read our full review on the 2019 Mercedes-Benz GLC-Class. Read our full review on the 2018 Mercedes-AMG GLC63 Coupe. Read our full review on the 2017 Mercedes-AMG GLC43 Coupe. Read our full review on the 2016 Mercedes-Benz GLC-Class. Note: all images courtesy of Mercedes-Benz. Sure to attract attention: just a few weeks after unveiling the GLC SUV, Mercedes-Benz is presenting the GLC Coupé. The next generation of the successful model skilfully and intricately combines the sportiness of a coupé with the functionality of an SUV. The result is a vehicle for individualists who attach maximum importance to extraordinary looks, the greatest possible freedom and pioneering technology. Innovative technologies, intelligent driving assistance systems and a new engine line-up make the Coupé a paragon of sportiness, safety and efficiency. 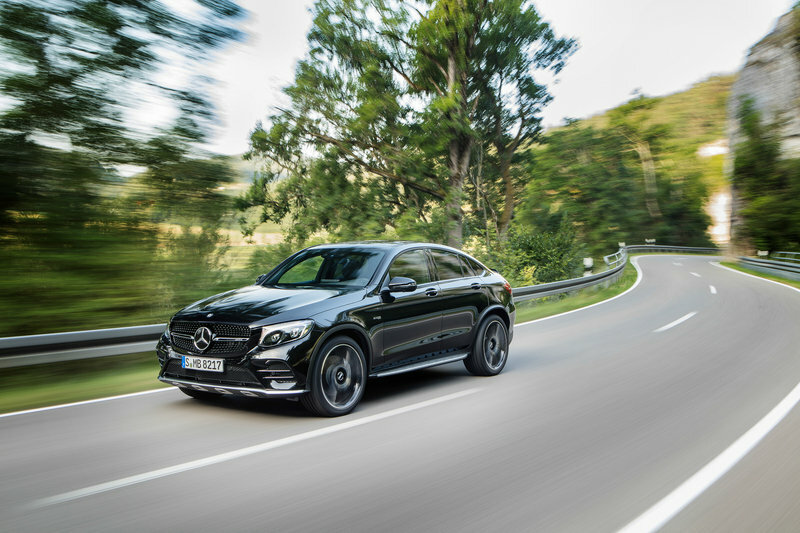 The GLC Coupé impresses with its distinctive appearance, innovative driving assistance systems, a new engine line-up and the latest generation of the MBUX Mercedes-Benz User Experience infotainment system with its wide range of control options. The enhanced driving assistance systems have been expanded by adding an exit-warning function, emergency-corridor function and tail-end-of-traffic-jam function, among others. Also new is Trailer Manoeuvring Assist, which provides assistance when manoeuvring in reverse. 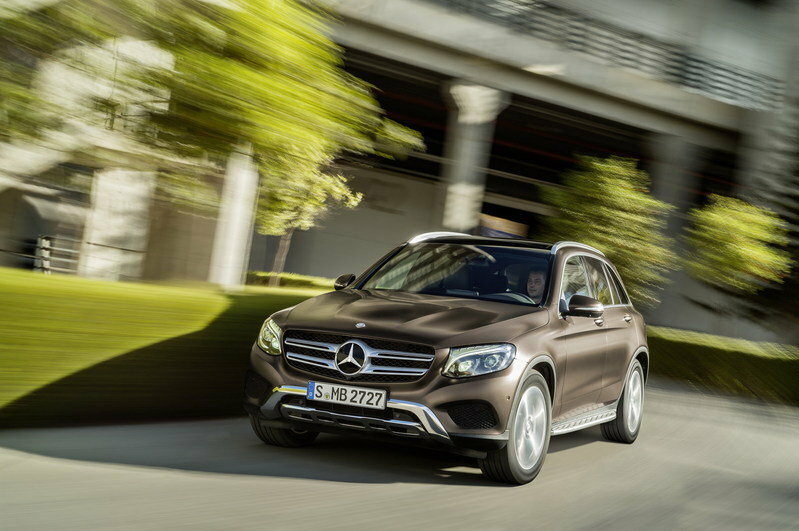 The GLC Coupé is characterised by its dynamic appearance and elegant lines. Hallmark off-road features include the dominant front end, powerful forms and standard-fit chrome details like the front and rear underride guards. Its coupé character shines through in the squat silhouette with the dropping roof line and rounded rear window. Highlights at the front end include the powerfully contoured diamond radiator grille with integrated star and single louvre typical of a coupé, complemented by the distinctive air intakes and the new contours of the standard-fit LED High Performance headlamps. The GLC Coupé shows how the design features of a coupé can be harmonised with those of an SUV with its dropping roof line, the greenhouse that fits perfectly into the silhouette and the feature line in combination with the eye-catching chrome strip on the high beltline, the muscular shoulders and the rearwards-ascending light-catching contour. On top of this, the dynamic proportions and the generous ground clearance emphasise the GLC Coupé’s range of abilities – it’s just at home on smooth tarmac as it is on a dirt track. Flawless luxury and user-friendly controls abound in the Coupé’s interior. As is usual for Mercedes-Benz, particular importance is given to the interior. The focus is on the dashboard and the flowing lines of the centre console. The large, one-piece console panel sweeps elegantly from the centre air vents to the armrest. It has a premium feel and a build quality of exceptionally high calibre. The interior colour magma grey is completely new. The completely revised multifunction steering wheel is available in two versions. Its operation of Active Distance Assist DISTRONIC and the Touch Control buttons for controlling the instrument cluster and the infotainment system as well as the acoustic input feedback set new standards. The optional ENERGIZING comfort control combines various in-vehicle systems to create an optimum environment. This integrates lighting and music moods, climate control, suitable music and video selections as well as a massage function, heating and ventilation for the seats. The ENERGIZING COACH uses data from the vehicle and surroundings to recommend one of the programmes that fits the situation and the individual. The state-of-the-art driving assistance systems are augmented by the exit-warning function, emergency-corridor function and tail-end-of-traffic-jam function, among others. New features include Trailer Manoeuvring Assist, which provides assistance when manoeuvring in reverse. The system uses sensors in the ball head and a magnetic ring to measure the angle between towing vehicle and trailer. The 360° camera offers good all-round visibility and a greatly enhanced image on the display. 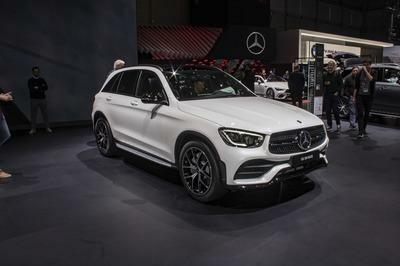 At market launch the GLC Coupé will be available with new engines, with further engines to be added to the line-up during the course of the year. All the diesel models already meet the requirements of the Euro 6d standard (RDE – Real Driving Emissions Stage 2), which comes into force in 2020. This is achieved thanks to the insulated configuration of the exhaust-gas aftertreatment system installed directly on the engine. It consists of diesel oxidation catalytic converter (DOC), particulate filter with SCR catalytic converter function (sDPF) and SCR catalytic converter with AdBlue® injection. The system is augmented by an additional selective catalytic reduction (SCR) converter with an ammonia slip catalyst (ASC) in the exhaust tract of the GLC. The petrol engines are electrified by the integration of a 48-volt on-board electrical system (EQ Boost). The belt-driven starter-generator is responsible for hybrid functions such as boost or energy recuperation, while allowing fuel savings that were previously the reserve of high-voltage hybrid technology. In addition to reducing consumption and CO2 emissions, the technology also enhances both comfort and performance. 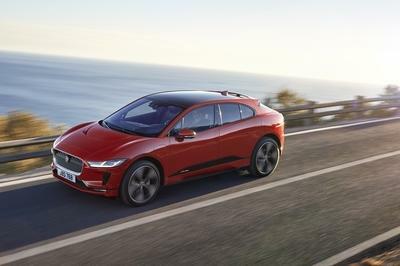 Expressive design: The stylish appearance of the new Coupé generation encapsulates the Sensual Purity design philosophy and combines the flexibility of an SUV with the sense of style and sportiness of a coupé. The A-pillars have a more pronounced slope, which lowers the roof silhouette. The model owes much of its extraordinary character to the diamond radiator grille, which is available in silver as standard or black in conjunction with the Night package, featuring a chrome trim incorporating formal elements of the underride guard. Further eye-catching features include the standard-fit LED High Performance headlamps with their torch design and unmistakable light signature. The elegant lines are drawn to a successful conclusion by the compact rear end featuring a new-look diffuser with underride guard and tailpipe trims as well as full-LED tail lamps. MBUX - Innovative telematics: The combination of the touchscreen displays, navigation with augmented reality, intelligent voice control via the talk button or the "Hey Mercedes" prompt, connectivity and the user interface makes the GLC Coupé state of the art. Suspension: As an alternative to the standard sports suspension with adaptive damping, DYNAMIC BODY CONTROL with infinitely adjustable dampers for the steel springs on the front and rear axle is available as an option. Depending on the driving situation, speed and condition of the road, the damping is controlled individually for each wheel in interaction with the engine, transmission and steering characteristics. AIR BODY CONTROL air suspension is also available - to further enhance comfort and sportiness. 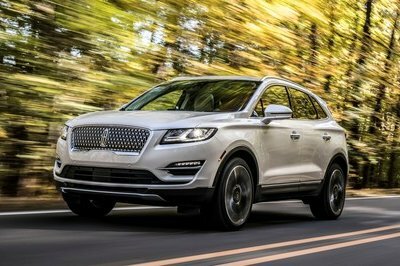 Advanced assistance systems: Active Distance Assist DISTRONIC and Active Steer Assist provide even more comfortable support to help the driver to keep a safe distance and steer. The speed is adjusted automatically ahead of bends or junctions. Active Steer Assist helps with forming an emergency corridor and with changing lanes. The risk of potential collisions can be reduced by the turn-off function of Active Brake Assist by braking if the driver fails to see oncoming traffic. Drive system: The GLC Coupé comes with a choice of efficient four-cylinder petrol and diesel engines from the latest generation. The diesel engines already meet the requirements of the Euro 6d standard. The petrol engines are electrified by the integration of a 48-volt on-board electrical system (EQ Boost). The new-generation GLC Coupé is a blend of exceptional and sophisticated features, further underlining its leading position with this combination of style and ability. At present, Mercedes-Benz has a very successful presence in the SUV segment with seven models (GLA, GLC, GLC Coupé, GLE, GLE Coupé, GLS, G-Class).